The TR-62 went on sale in the domestic Japanese market in August 1957 at a retail price of 13,800 yen. 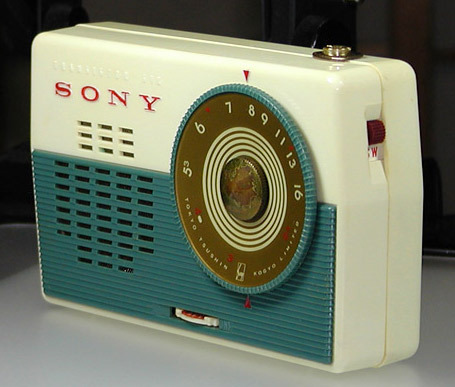 The model has earned a prominent position in Sony's history as the world's first 2-band transistor radio. 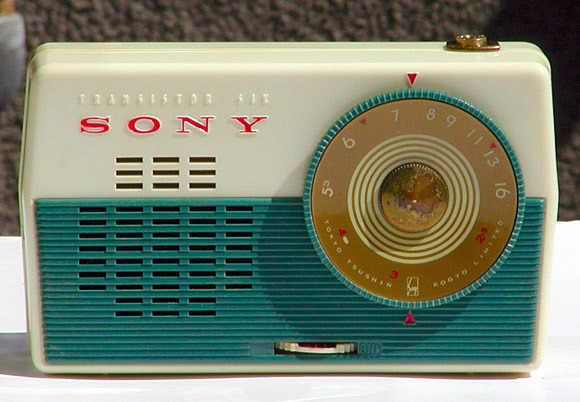 While the short wave band is extremely narrow at 2.5 ~ 4.5 MC, the TR-62 marked a creative approach to adding the second band before the company was capable of building transistors of high enough frequency to offer a full short wave band. One of my all-time favourite Totsuko-era designs, I find both the interesting shape of its relatively thin cabinet and the colourful design exciting.